With fall here and winter approaching, it’s the perfect time of year to take advantage of the health and weight loss benefits of pumpkin and squash. These yummy ingredients are surprisingly good for you, and they can even help you meet your slim-down goals. 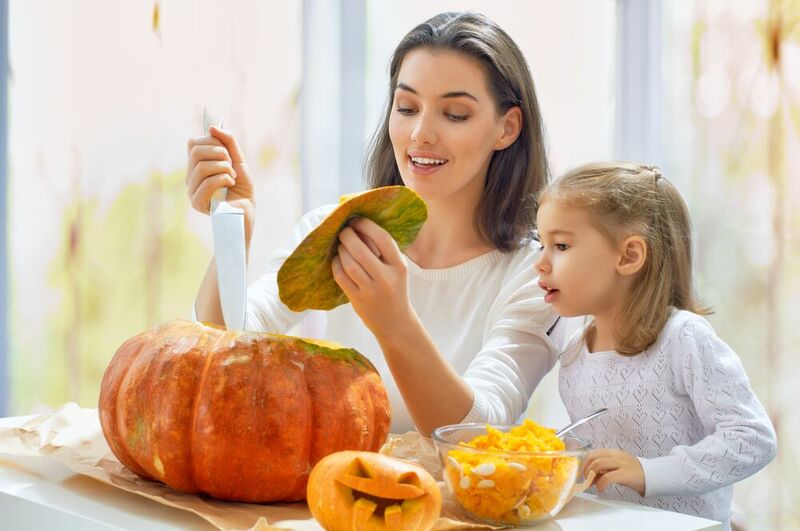 Keep reading to learn about a few of the main benefits of pumpkin and squash that you can enjoy when you incorporate these foods into your daily diet. If you or a family member suffers from high blood pressure, consider that one of the benefits of pumpkin is a natural reduction in blood pressure, thanks to antioxidants and potassium that contribute to cardiovascular health. Add pumpkin seed oil to meals, eat pumpkin seeds, and add pumpkin puree to things like soups and smoothies to easily incorporate this ingredient into your diet. Because pumpkins are packed with fiber, eating this nutritious food can help you feel fuller sooner, and that can help you reduce your calorie intake while trying to lose weight. Beyond that, fiber can help support healthy digestion, especially because it has a high amount of water in it, and it can also increase nutrient absorption, while slowing the absorption of carbs and natural sugars. Eating enough pumpkin can even help reduce your risk of becoming obese. When it comes to the benefits of pumpkin and squash, it is definitely worth mentioning that these foods can help protect your vision. That’s because orange foods like pumpkin are high in carotenoids like lutein and zeaxanthin that are converted into vitamin A in the body. This nutrients support eye health and can even help protect against the development of cataracts. Everyone wants to take steps to protect themselves against cancer, but a lot of people don’t realize how much of an impact your nutrition can have on your body’s ability to remain healthy. By simply adding pumpkin to your meal plans, you can take a super easy step towards providing your body with a variety of nutrients, including iron, vitamin C, and vitamin A. According to Shape, these nutrients can help protect your body against cancers of the breast, colon, and prostate. Need more reasons to eat more pumpkin? We didn’t think so! So, what are you waiting for? With so many delicious and easy recipes involving this nutritious food, now is the best time to add it to your diet. » Are You at Risk for Vitamin D Deficiency This Winter?